All bills included. Unlimited internet. A/C. 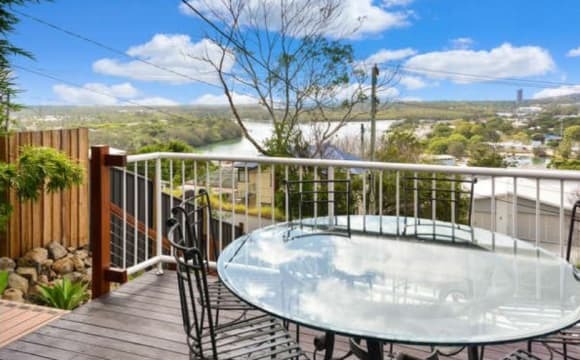 Self-contained granny flat with own balcony and river glimpses. 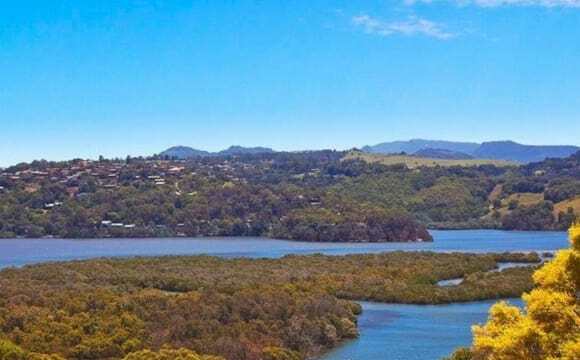 1.5km to the beach at Coolangatta, 200m to the river. Quiet neighbourhood, but walking distance to everything. The flat is mostly furnished - you just need a bed. We have a large yard, so you can grow herbs and vegetables if you like. You will have your own separate electricity bill. Internet bill will be split between all housemates. The granny flat is the downstairs half of the house. Myself (Australian, Female, 38)and my housemate (Australian, Female, 33) live upstairs. We are both full-time students, also working part-time. Whilst we both like to party, unfortunately that is infrequent these days, and studying full-time means that we need a fairly quiet house (no loud parties). We have both travelled and worked overseas fairly extensively, and would welcome international housemates. Our ideal housemate/s would be aged 28-43, and working or studying full-time. No tobacco smoking (the smoke from downstairs blows up into our windows), but vaping and 420 is OK :-) No dogs, but other pets considered on application. Enjoy the comfort of this private 1 bedroom space, located right on the waterfront. This cosy apartment has all the essentials. 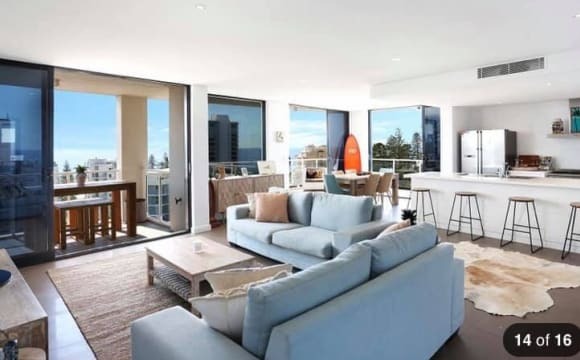 Just a 10 minute walk to Kirra beach and 3 minute drive to Coolangatta where there are plenty of shops, cafes and bars. This house has a really nice back yard, a large living room and a bedroom with lots of storage. I can leave furniture in bedroom for an extra cost. Water is included in rent. Entire place for rent not just room. Your own place. Close too everything. Security penthouse 360 ocean views. 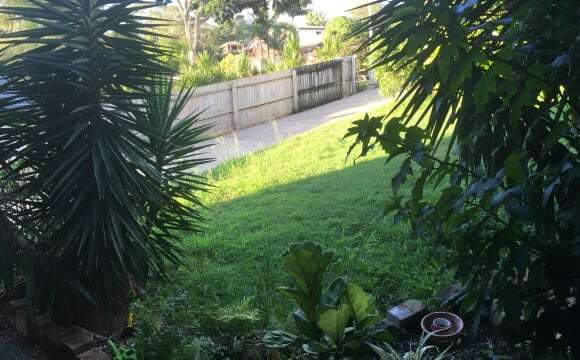 Great neighbors Best spot Good vibes Lift opens into home Living the dream Close too cafes Town Two mins walk down hill too both snapper and d bar. 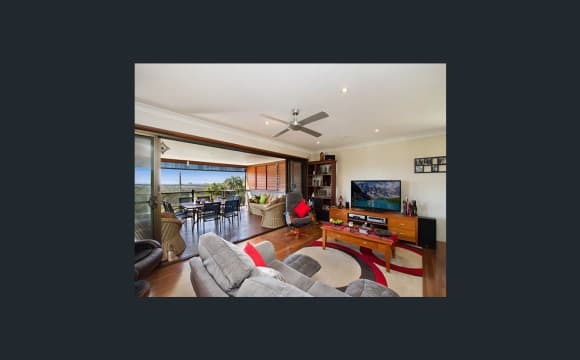 The House is a stones throw from Coolangatta in a quite street big deck overlooking tweed big kitchen and cosy out door entertainment area out the front great for dinners and bbqs. The Place comes with 2 dogs who are inside dogs so if your not a dog person this is not the place for you. Looking for a cruisy Roomie no party animals please as we both work big hours and are up early and in bed early the room backs onto the kitchen so if you like to sleep in late again it’s probably not the place for you. 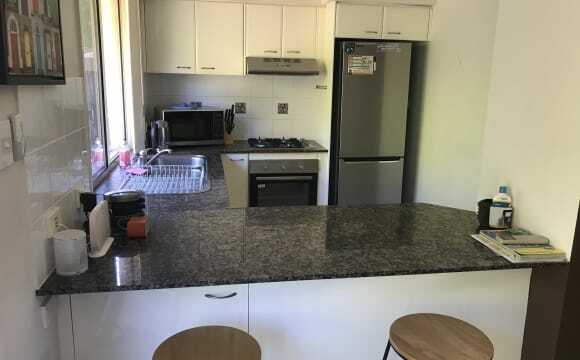 The room comes fully furnished it’s a nice bright room and gets sun all winter so it’ll be nice and warm on those cold winter nights unlimited wifi Foxtel Netflix and electricity included in rent. Close to everything you need. The apartment has an occupiers swimming pool and is very modern and clean. The apartment has 2 balconies with terrific views for miles. It is bright and has air conditioning for those humid nights. 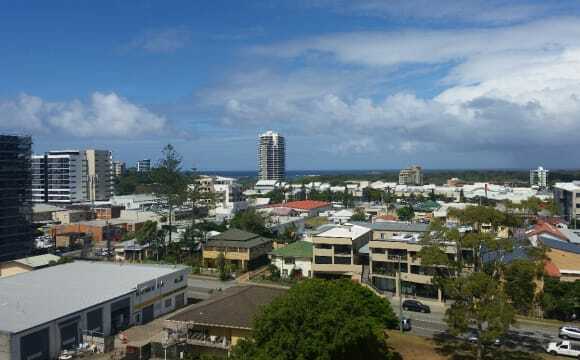 Prime position 2 minute walk to Coolangatta beach. We have a pool and bbq area in our apartment complex. Apartment is modern and spacious will be furnished apart from bringing your furniture for bedroom. Its a two bedroom flat with airconditioning! There are two pools in the complex, a tennis court and a gym. It is a security building with secure parking in the basement. Its only a short walk to public transport. No pets allowed as I already have four birds! Dogs and cats aren't allowed in the complex. You will need to fill in an application with our onsite management as all tenants need to be approved by the landlord. This place is beautiful ! the View is amazing, sitting on the Deck watching the planes take off and Land, without the noise of them flying over top ! We have a massive 2 level backyard as well as a backyard deck, a fire pit up back as well. There are 2 bedrooms to choose from both some what the same size, you would all be sharing the bathroom but the toilet is separate. The house has an almost 3 car garage which means we have alot of storage. The views are great, can see the river and beautiful trees all around. 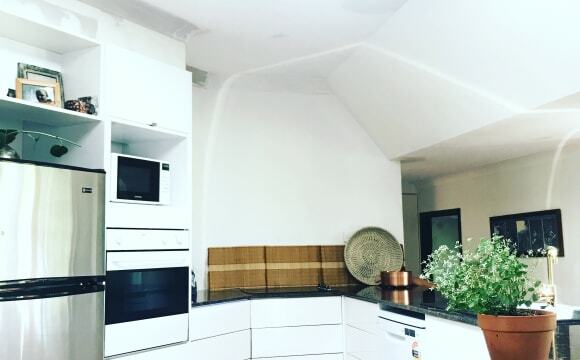 It is light and airy, get great summer breezes, it has been renovated (funky style) everything functional and will be improving little things all the time. Parking off street for one but there are spaces on road. Trustworthy area, neighbours are good at neighbourhood watch. Friendly area. 7 mins to airport and beach but away from crowds. 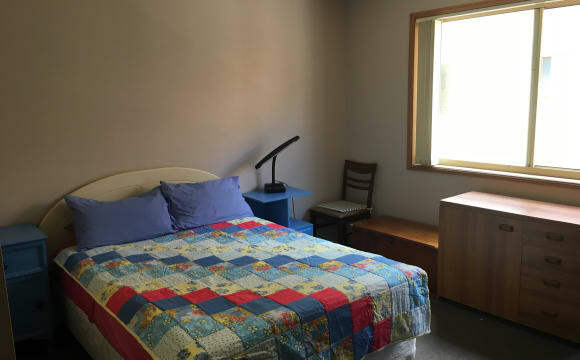 Both rooms are good size and can help with furniture. Some things can stay. There's a pool and BBQ AREA. Close to shops and bus stops. 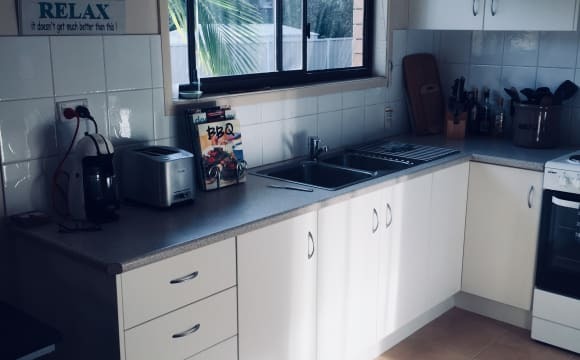 Room available for rent in Tweed Heads South. Close to Southern Cross University Beachside, Riverside and Lakeside Campus', Library, Shopping centres, beaches, local pubs and clubs. Currently two males in their 20s living in house and have a spare room. One room mate is a Uni Student at SCU studying IT and the other works full time in an IT roll. 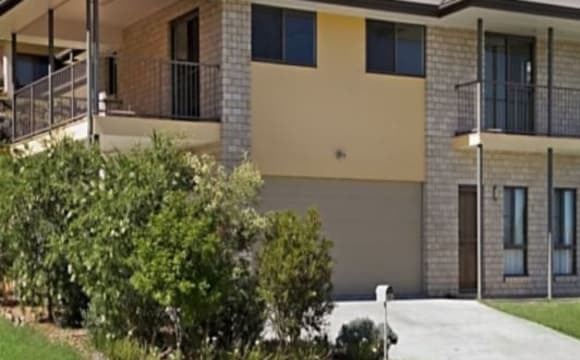 New roommate will have access to own bathroom (Toilet, Shower, etc) as well as Internet, TV (in living areas), Foxtel (included in rent) large sized yard, balcony, laundry facilities and garage parking. If needed, the room can be rented with or without furniture. Utilities are included in rent. This is not a party house, very quiet through the week but we do have a couple of friends over on Sunday afternoon to play D&amp;D (we're pretty nerdy). Please send me a message if you have any inquiries. Please note we also have a very friendly Border Collie. Scenic broadwater views! Unlimited internet, air-conditioned, happy and friendly housemates! 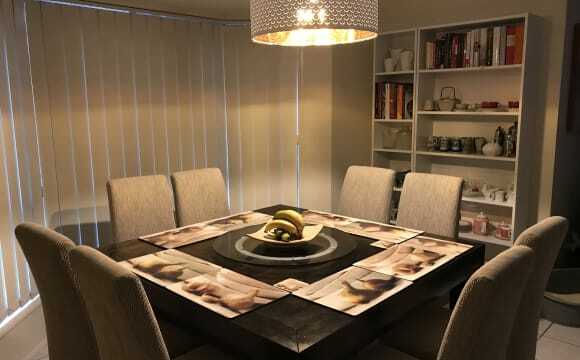 Come and share our beautiful and relaxing home overlooking the Broadwater. 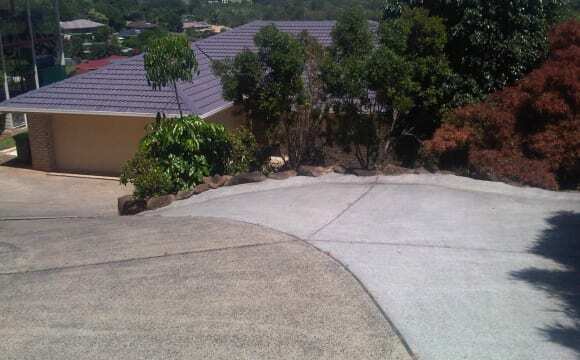 9 mins to Coolangatta Beach and 7 mins to SCU and Gold Coast Airport. Live with 2 other housemates in their 20's: 2 females. Polite, easy-going and respectful. Couples welcome. This is a very tranquil and house with scenic views over the broadwater and gardens. Relaxing and easygoing environment. 1 x room. Fully furnished or unfurnished with a near new Sealy mattress. Room has ensuite and BIR. $220 p/week for a single person and $290 per week for a couple. Avail NOW. Utilities water, electricity, unlimited high-speed internet split between 4 tenants. Internet is $13.8 each p/month, last water bill was $16 each p/3 months, last electricity bill averaged $2.5 p/week p/person (solar hot water system on roof) Street parking available. *This is a strictly non-smoking household. Bus at the door. 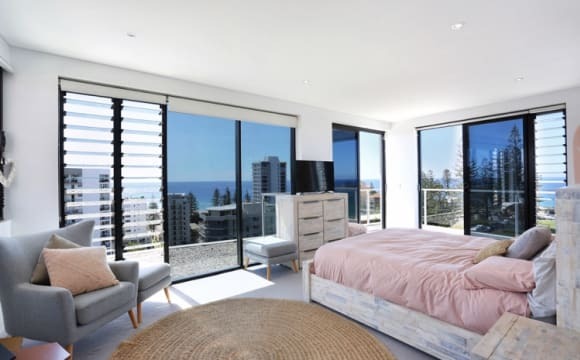 Only 6 minute drive to Coolangatta beach. McDonalds and pub 200 metres walk. Close to everything. N1 Room for rent in a townhouse. Room is furnished with a double bed (providing your own sheeting) full wardrobe and study desk (optional) at your own use. House is also furnished with a dining table, lounges, tv, cooking utensils and unlimited access to the wifi which is covered with the rent including other bills. Complex has a pool also! Complex is in walking distance to shopping centres and a 5-10min drive to closet beaches, cafe’s and the university. The room up for rent will have their own bathroom. Vegans are welcome as long as your ok being with non-vegans. This townhouse is in a gated community so renters will have to respect other neighbors and body Corp, this house is a NON PARTY/DRUG house. Parking is available in complex but is limited so renters may have to park outside of the complex on the very rare occasion. People must respect the rooms that are vacant and even the house, although there will be a cleaner coming in every 2 weeks that is also included in your rent. Welcoming anyone from uni students, apprentices, travellers and your casual everyday worker! As long as you have a stable income to provide your fair share of the rent and able to provide for yourself, you are very welcomed in this household. Please don’t hesitate to get in touch! If unsure about anything, I’m happy to provide a reference from our last Flatmate that had just moved out on about his stay in this household. 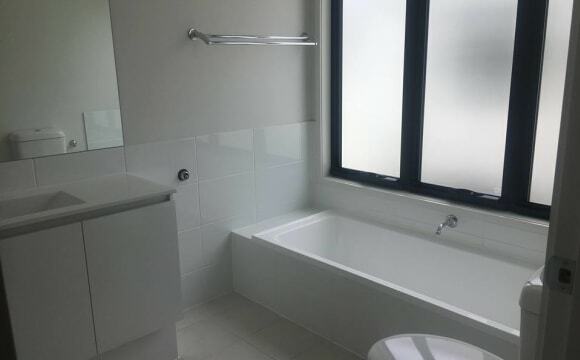 Super spacious room with your own bathroom! 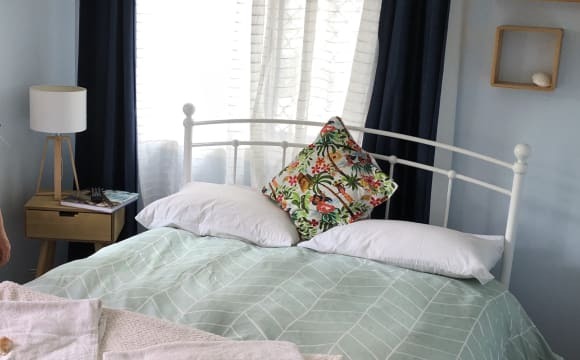 It's a two-storey townhouse with a large living area and well stocked kitchen, an internal laundry and washing machine and a small outdoor area/garden downstairs, and all bedrooms and bathrooms upstairs. The house is flooded with light during the day, it's really nice :) Other features include: - Wifi is fast and included in the rent! 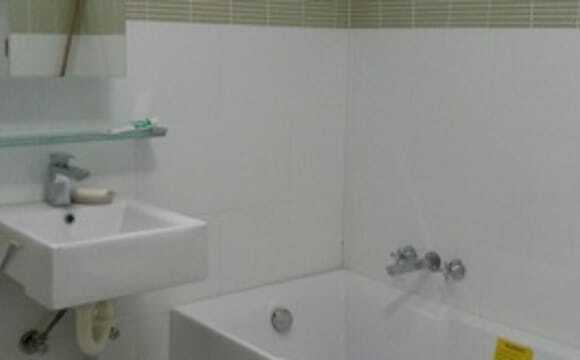 - Private bathroom with a bath and shower. 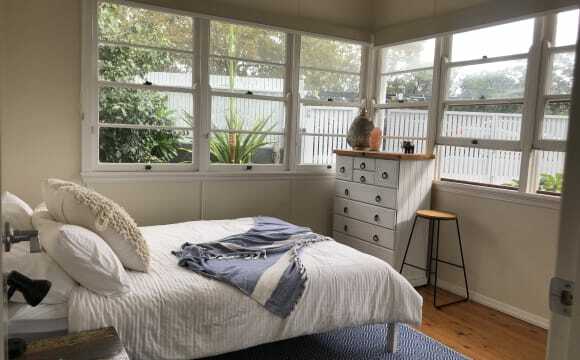 - Working ceiling fan and a large, mirrored double wardrobe. - Storage under the stairs. - Oven, stove top and a large amount of space in the pantry/fridge for all your things. 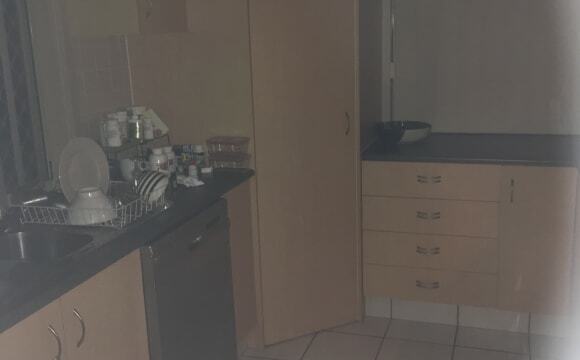 - Ti also has a fully stocked kitchen, you may use whatever you need. - Outdoor entertaining area. - Off street parking. - 5 minute drive to Shops/Post Office/Mcdonalds. It's a very clean, friendly and welcoming house, kinda perfect for anyone who wants a quiet, relaxing home. Spacious house surrounded by lush gardens and lots of living spaces inside and out. 2 dining areas, 2 lounge areas, an enclosed covered balcony and a covered patio. I initially set up 2 rooms for students, each room has a king single bed, a desk and chair, drawers, bedside table and in-built wardrobe. The spare bedrooms are downstairs near the downstairs bathroom, toilet and separate basin so the bathroom is solely for the downstairs occupants. My master bedroom, on suit and office are upstairs There is plenty of shady on-street parking at the front of the house. I have some exercise machines in the garage which are available for use.